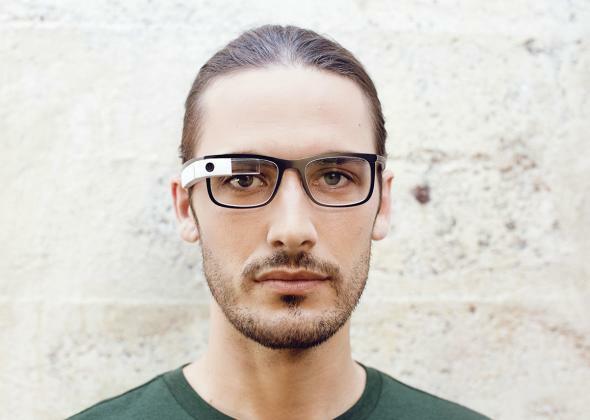 Prescription Google Glass: glasses and frames for your wearable face computer. Google’s in-house designers have come up with a prescription version of Glass. Do you consider yourself farsighted, but also happen to be near-sighted? 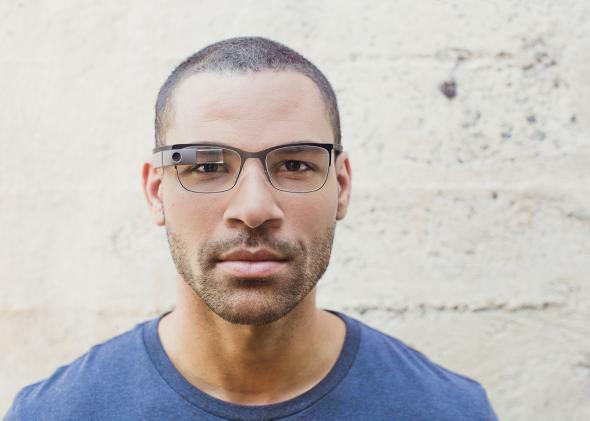 Google may finally have a Glass for you. The company this morning unveiled a new line of wearable face computers that do something the originals couldn’t: correct your vision. Prescription Glass comes in four different styles—“thin,” “split,” “bold,” and “curve”—and an array of colors. Designed by the same in-house team that turned the first geeky prototypes into the somewhat-less-geeky Explorer edition, the new high-tech specs could almost pass for the latest Warby Parkers on first glance. On second glance, of course, that chunky translucent prism is still there, hovering just in front of the wearer’s right lens. For better or worse, Glass is still inescapably—and unapologetically—futuristic-looking. But you’ll look a little less like Geordi La Forge and a little more like a standard-issue early-21st-century hipster in this incarnation, especially if you opt for the “bold” or “curve” versions. The frames will run $225, but some insurance plans will reimburse part of that cost. The question now is whether integrating Glass—a singular noun that had always felt strange and science-fiction-y to pronounce—into a more familiar frame will persuade the public that it’s more than a futuristic novelty item. Until recently Google has been at pains to present Glass as an experiment, a prototype, an exploratory project. The launch of a prescription Glass line feels like a big step toward mainstream consumerization, especially given the polished feel of the design. So far, though, the design of non-prescription Glass remains unchanged. At a Glass Basecamp at Manhattan’s Chelsea Market last week, I met with Google’s lead designer for Glass, Isabelle Olsson, and tried on the new wares. Olsson met me sporting a pair of prescription Glass(-es?) on her own face, and while I noticed it immediately, the Glass itself seemed to melt into the background of the frames more quickly than I remember it doing on people wearing the non-prescription version. Or maybe I’m just getting more accustomed to seeing it. 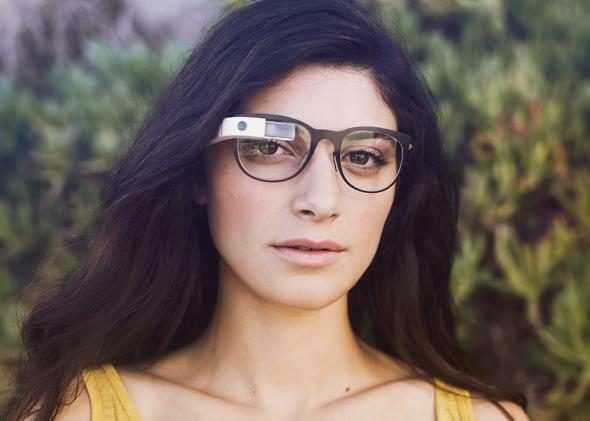 “Curve” is one of four styles of prescription Google Glass frames. The glasses themselves were surprisingly light on my face—not much heavier than my own, non-smart plastic frames. If they tilted in the direction of the Glass screen, it was hardly noticeable. The screen felt well-placed relative to the lenses, and on the whole I felt only slightly nerdier than I usually do. “Bold” is for techies who also want to be hipsters. For the time being, those who want the device still have to fill out a form online and wait for Google to “invite” them to its Explorer beta-testing program (though the selection criteria are no longer particularly rigorous—if they ever were). And the cost is still an eye-popping $1,500, plus $225 for those who want the actual glasses frames. Later this year, though, the company plans to launch the product to the public at large. How low it’s able to get the price by that time will go some way toward determining whether Glass has a shot to be the next hot Christmas tech or remains largely a badge of early adoption and disposable income for the Silicon Valley set. Google Glass Isn’t Lame. It Might Even Replace the Smartphone One Day.